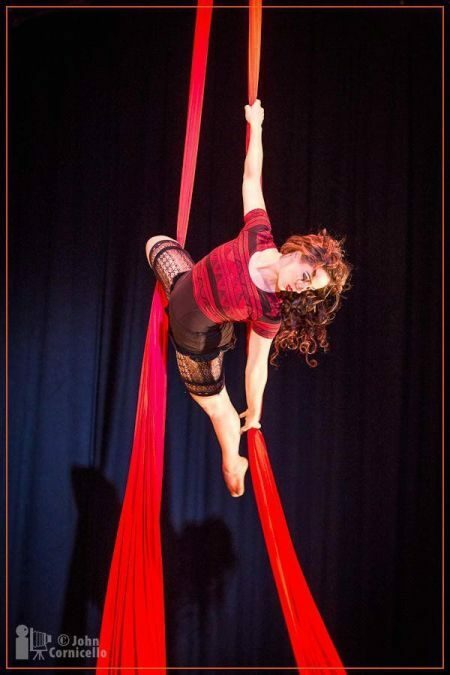 Emma Curtiss is a Seattle based acrobat who specializes in Aerial and Cyr wheel. Emma is a founding member of the IMPulse Circus Collective. She has worked in collaboration with the fabulous Acrobatic Conundrum, including the show “The Way Out” which was featured at the Chicago International Circus Festival. Emma is currently a coach at the School of Acrobatics and New Circus Arts. We are delighted to have her join us for Moisture Festival’s New Years show.